Tetrachloroethylene is a chlorinated aliphatic hydrocarbon. It is a synthetic chemical with no natural sources, but because of its widespread use as a degreaser and dry cleaning chemical it is ubiquitous in air and water (Anon, 1988). The main effect of tetrachloroethylene is CNS depression and, once a victim is unconscious and lying on the floor, they continue to inhale high concentrations of this solvent because it is 5.8 times heavier than air. Much of the information on occupational exposure to tetrachloroethylene relates to exposure in the dry cleaning industry. There are numerous studies on the effects of chronic exposure in dry cleaners and cases of chronic (Gold, 1969; Bennett, 1984) and acute exposure (Meckler and Phelps, 1966; Patel et al., 1973; 1977) including fatalities (Lukaszewki, 1979; Levine et al., 1981; Dehon et al., 2000). There are also cases of poisoning following the use of tetrachloroethylene as an industrial degreaser (Stewart, 1969; Chmielewski et al., 1976), and in the chemical industry (McMullen, 1976; Nakatsuka et al., 1992). In 44 cases of tetrachloroethylene poisoning reported to a Factory Inspectorate in the UK between 1961 and 1980, 3 were fatal. Of the total cases, 26 involved the use of tetrachloroethylene in dry cleaning and all occurred in association with either faulty equipment or during maintenance work (McCarthy and Jones, 1983). A fatal case of tetrachloroethylene abuse has been reported (Isenschmid et al., 1998). Death occurred in a two year old child exposed to tetrachloroethylene. He was found dead 90 minutes after having been put to bed for an afternoon sleep in a room in which improperly dried curtains had been hung after dry cleaning (Gaillard et al., 1995; Garnier et al., 1996). Other, milder, cases of poisoning have been reported from exposure to tetrachloroethylene in dry cleaned material including clothes, sleeping bags, carpets, soft toys and pillows. 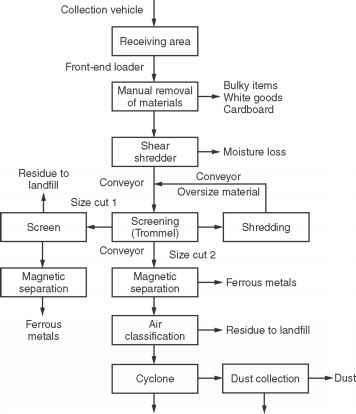 In most cases the incident involved overloading of dry cleaning machines, with subsequent retention of high concentrations of tetrachloroethylene in the material (Garnier et al., 1995). Acute ingestion may cause poisoning (Koppel et al., 1985). Accidental poisoning has also been described in a patient requiring ventilation, where the compressed air lines in the hospital system were contaminated with tetrachloroethylene (Lackore and Perkins, 1970).